Dr. Brimley grew up in Cottonwood Heights, UT. He attended Brigham Young University where he graduated with honors in Finance with a minor in Chemistry. He was accepted into the Temple University School of Dentistry in Philadelphia where he received a Doctorate of Medical Dentistry, MBA, and graduated as the class Vice President with several academic awards. After receiving his degrees, he attended the University of Utah for a one-year general practice residency program. Dr Brimley stayed in the Salt Lake Valley and practiced as a general dentist for 5 years before deciding his heart was in Endodontics. Dr. Brimley was accepted to the Detroit Mercy Endodontic residency program where he excelled in academic and clinical performance. 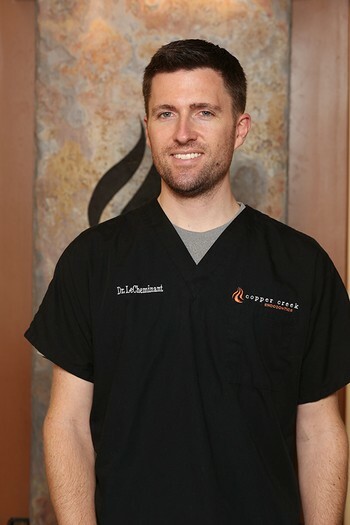 He graduated in 2006 and moved back to Utah to pursue his dream of practicing Endodontics. 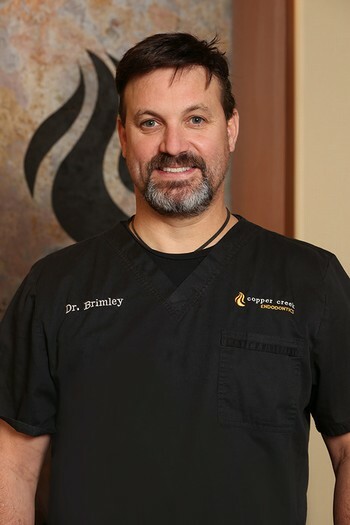 Dr. Brimley is very passionate about Endodontics and is currently an attending doctor at the University of Utah GPR program where is he actively involved in pursuing the latest research and education. Dr. Brimley currently lives in South Jordan, UT with his wife Tricia and their 6 children. He loves spending time with his family, cooking, and riding his motorcycle. Dr.LeCheminant has an affinity for teaching and enjoys leading continuing education courses for general dentists and mentoring dental students. He loves playing the guitar, golfing, skiing, hiking, camping, and spending time with his family. 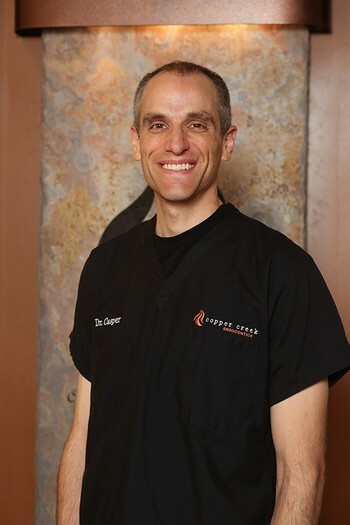 Dr. Casper loves helping others as an endodontist by striving to provide the best care possible. He is dependable, genuine, personable, and gives his best effort at everything he undertakes. After graduating from Brigham Young University he obtained his doctoral degree with honors from Creighton University School of Dentistry, was distinguished with the Dean’s Recognition Award for high scores on the National Board Dental Examinations, and further expanded his training through a one-year Advanced Education in General Dentistry residency at Michael O’Callaghan Federal Hospital as he began active duty service for the United States Air Force. While serving the next four years in the United Kingdom and although a recent graduate, he was chosen for his exceptional clinical abilities as one of three from seventeen general dentists stationed there to relocate and provide more comprehensive dental care for active duty members at a satellite clinic. Dr. Casper was subsequently selected for a competitive position in the Air Force Endodontic Residency Program at Keesler Medical Center. Following specialty training he pioneered the opening of an endodontics department at a joint military base in New Jersey where he cared for members from all military branches in four states while mentoring and training ten general dentists in contemporary endodontic procedures. Following eleven years of active duty service Dr. Casper spent three years practicing in Minnesota prior to returning home to Utah to be near his family. Dr. Casper has presented multiple educational seminars for predoctoral students, dentists, physicians, and members of the community. He is a published author in the Journal of Endodontics and is a member of local and national dental and endodontic associations. His favorite hobby by far is spending time playing, traveling, serving, working, learning, and worshiping together with his family. The greatest achievements in his life are his marriage to his beloved wife and raising their magnificent children.